Birdsong at the football match? 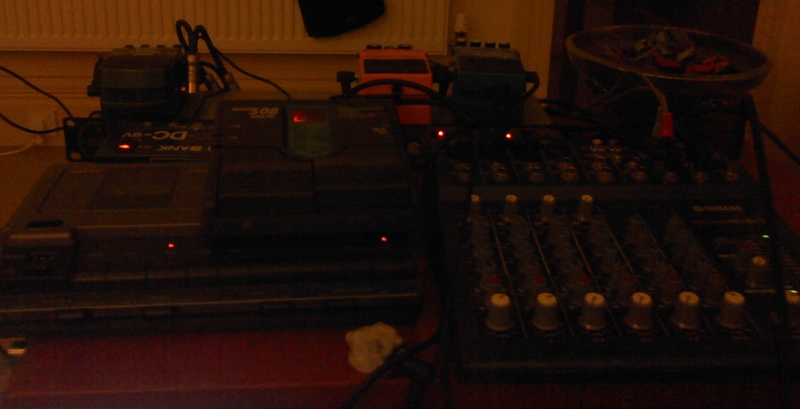 Tapes running slower, hum and fizz getting louder and all to the tune of beer soaked football and birdsong. Luke Twyman provided one set field recordings from the Sheffield United vs. Leeds United match a few weeks ago, and I used some sounds from the park across the way. These sources were then processed and had a touch of contact mic’d filing cabinet thrown in to the mix, all live whilst trying to watch CSI: New York with my third eye on a Friday evening. Enjoy the caustic clash of man vs. nature, electronics vs. tape and liver vs. alcohol in Nature match.